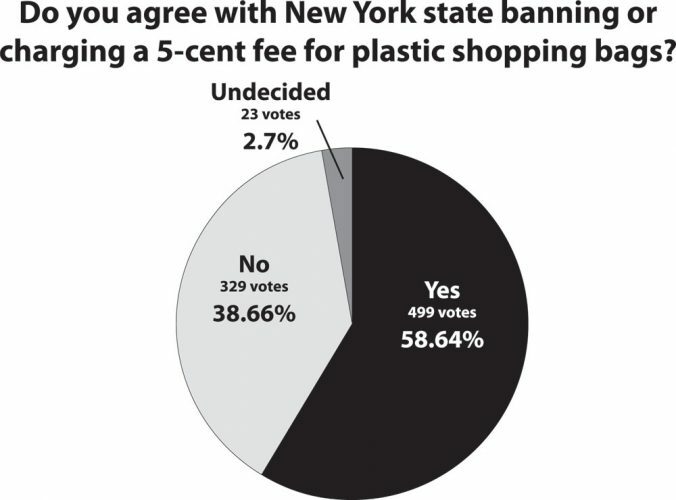 Eighteen years ago, Big Tobacco finally caved to public pressure. The tobacco industry had previously won (at least on appeal) all 800 private lawsuits filed against it in the four decades since smoking was linked to lung cancer until the mid 1990s, when more than 40 states, working together, overmatched them. The states’ argument, basically, was that their Medicaid programs were overburdened by paying for the health damage caused by the tobacco companies’ product. “(The) lawsuit is premised on a simple notion: You caused the health crisis; you pay for it,'” said Mississippi Attorney General Mike Moore. One might add that the tobacco companies had known for decades their product was dangerous and addictive, and sold it anyway. One might go still further and add that they often sold it with deceptive advertising that said certain types of cigarettes were healthy alternatives (they weren’t) and associated smoking with a lifestyle at odds with the realities of smoking-related illnesses. In November 1998, the four biggest U.S. tobacco companies entered a giant settlement agreement with the attorneys general of 46 states. The deal protected the companies from future class-action lawsuits, but they had to pay hundreds of billions of dollars, plus payments in perpetuity to the suing states, and accept more regulations in the future. Dr. Kolodny is a staunch critic of the tactics of pharmaceutical companies, and he is credible in saying so since he is regarded as one of the premier experts on the crisis. He is the chief medical officer of Phoenix House, which has more than 130 addiction treatment centers in 10 states and the District of Columbia; he is a senior scientist at the Heller School for Social Policy and Management at Brandeis University, where he researches prescription drug monitoring programs; and he also works as the executive director of physicians for Responsible Opioid Prescribing. He estimates 10 million to 12 million Americans use opioids chronically and blames the epidemic on pharmaceutical companies’ marketing and advertising efforts to doctors, who then over-prescribe those companies’ opioid drugs to patients. He traces the epidemic’s roots to 1996, when companies increased promotion of opioid drugs such as Oxycontin (a brand name of the drug oxycodone) to doctors. Kolodny explained how promotional spending for Oxycontin in 1996 was less than $10 million and exploded to nearly $30 million in 2000 and 2001. He criticized the pharmaceutical industry for funding educational messages to doctors about how opioids are not addictive for the vast majority of patients who take them and that people can easily come off them — not so true. It’s all about making money, despite the destruction these drugs have wreaked in society. 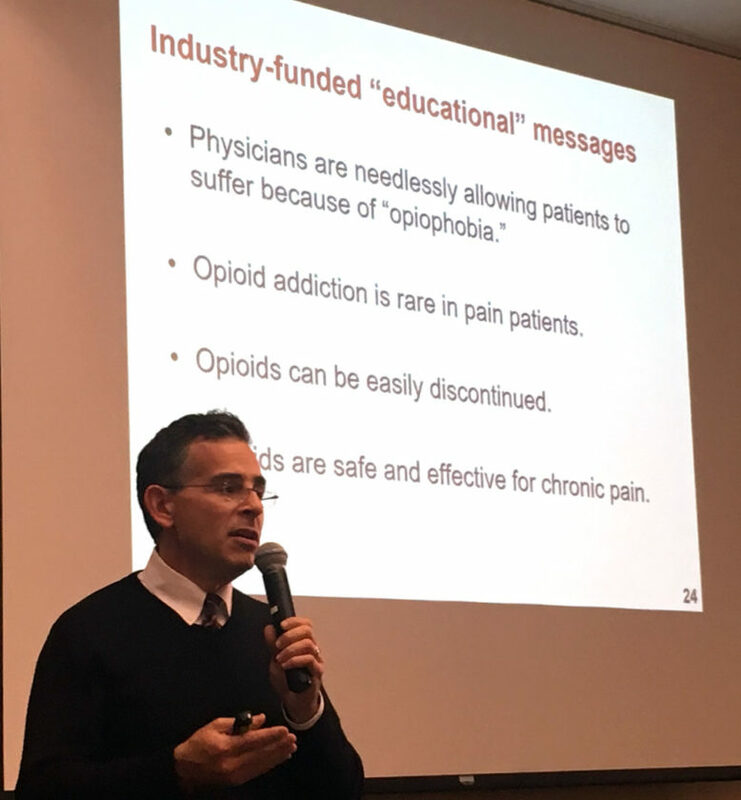 “So many Americans are on opioids chronically that drug companies can now make money selling medicines to treat the side effects of being on opioids chronically,” Dr. Kolodny said. We are not experts in this field, but in our communities and nationwide, we all have seen and heard how the over-abundance of opioid prescriptions has led to theft and criminal trade in these pills, how horribly addictive they are and how they destroy the lives of addicts and their families. We have also seen how drug pushers quickly introduced cheap heroin to these users, and how it has become a nationwide scourge. We also see how the solution is going to be long, hard, expensive and multi-pronged: part treatment — including establishing more centers and making health insurers pay for more of it — part education and part enforcement. Many have died, and many more will. It seems like now would be a good time for state attorneys general to start researching a possible case against the pharmaceutical companies, similar to what was done against tobacco companies in the ’90s. If, in fact, these companies caused this health crisis, they should pay for it.